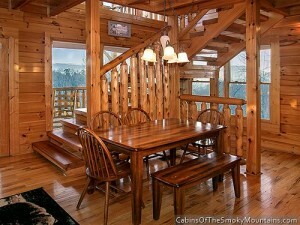 HomeHome /	/ Blog / Pigeon Forge / Love View Too, Pigeon Forge Cabin with a VIEW! 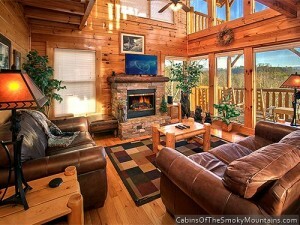 Here’s a cabin with perfect views and the windows to prove it! 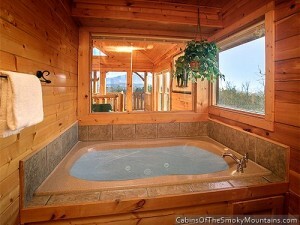 It’s Love View Too, a 1-bedroom beauty with space and amenities to sleep up to 14 people. 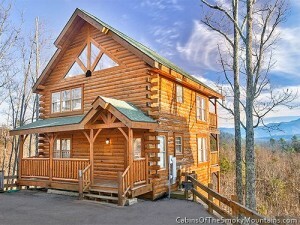 There are 3 deck levels and a loft area to enlarge this sprawling, 3-story cabin. Including the king bedroom the cabin has 3 full bathrooms, one with jacuzzi, as well as a second king bed, queen futon and a twin bunk, as well as two futons in the loft – fight with the kids for these! 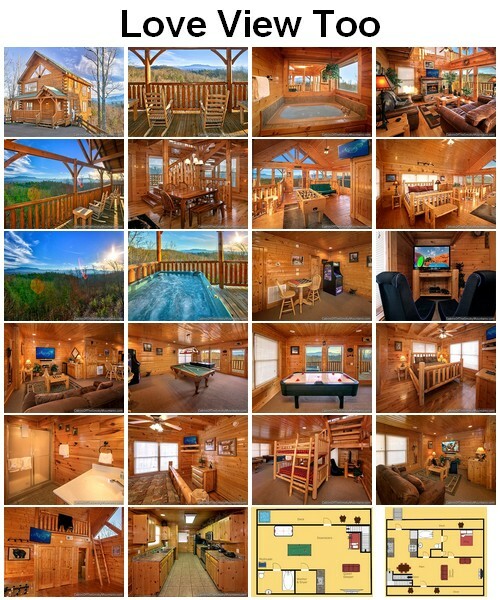 Filled with arcade games, foosball and air hockey set off by your own pool table, surrounded by entertainment and sofa seating home theatre, this cabin is equally great for just a couple or a group of friends or family, and room for lots of kids too. Love View Too is located outside of Pigeon Forge, just behind Dollywood in the Starr Crest Resort. 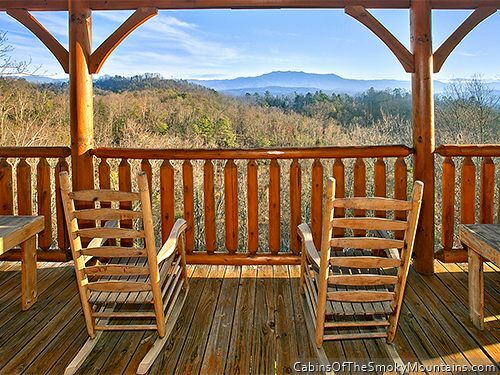 Close to resort amenities and all the fun of Dollywood and Splash Country, Love View Too offers easy adventure, if you can tear yourself away from the view from the deck – with hot tub and many rocking chairs – or the fun in the living areas. Then there’s the view – which is gorgeous. You can see the Smoky Mountains for miles, and all you need to do is lean back and enjoy. The cabin is built with lots of window space, especially with the vaulted, cutaway loft area that brings the outside closer inside than seems possible somehow. Take a look at Love View Too’s booking calendar to see if it’s available during your trip here – it’s the kind of cabin that’s always good to book in advance. On the other hand, gaps appear everywhere and you never know if it might be available during one of our last-minute special deals. Click here to check availability and book Love View Too for your next trip!